During Church Management Conferences across the nation, I meet some of the most interesting, yet uninformed Church people in the USA. The same would hold true during a recent visit to Richmond Virginia. During check-in Pastor Romero informed me that the only reason he was attending that day was so that his Certified Public Accountant (CPA) would attend and learn anything necessary to keep their Church books compliant. The Pastor was quick to inform me that he used the best CPA in the area and felt that the conference that day was probably a waste of time and money. I thanked Pastor Romero and his CPA for attending and assured them that I could probably show them something they did not know. Within the first few moments of the class, after taking care of necessary administration issues, I noticed Pastor Romero become more uncomfortable as the morning progressed. It was easy to see by the expressions on his face that their Church books were not as secure and compliant as he previously thought. By the time I released the class for the lunch break, Pastor Romero and his CPA came to the table. The first words from the Pastor were addressed to the CPA as Pastor Romero thanked him for his hard work over the past 12 months, but that he and the Church would no longer need his services. Pastor Romero retained us to bring his Church books into compliance and during the compliance process we discovered many errors that could have proven detrimental for the Pastor and the congregation. Regardless of what people tell you or advertise to you, because they say they are an expert doesn’t mean they are. There are many firms across the nation claiming they can do what we do. One has even advertised and deceived Pastors and Board members with an e-mail ad declaring the greatness of their firm. Unfortunately, this particular firm only began doing Church books in the past few months. This hardly qualifies them as experts! Local CPA’s are great for small business bookkeeping tasks, but they are not specialists in the area of Church and non-profit. Church and non-profit bookkeeping is a unique specialty and demands only the elite in the field. This is where we come in. Chitwood & Chitwood is the number one firm in the USA for Churches and non-profits. With more than 80 years of experience we know what others do not. In addition to our vast, exhaustive knowledge of Church and non-profit tax law, we have the highest reputation for being a winner. If we do your books and the IRS shows up, you don’t have to worry—we don’t lose. Don’t take a chance with those who say they are experts. Entrust your books with those who have proven to be the expert--Chitwood & Chitwood. To register for the next available conference call 800-344-0076 or visit us online at www.cmtc.org. There are new tax laws that will drastically affect Churches this year. DO NOT DO MINISTRY THIS YEAR WITHOUT KNOWING THOSE CHANGES! Pastor Jamison spoke with me concerning the Church Management Conferences scheduled for the upcoming year. During our conversation, he expressed that he didn’t believe he nor his Church needed to attend—especially since they were a small congregation. Then I began to outline just a few of the new IRS changes that would negatively impact Churches and Pastors should they not be aware of them and take appropriate action to protect themselves. Once Pastor Jamison heard just a few of these, in depth, and the penalties he and the Church could be imposed, he registered immediately. Since the Pastor is considered to be the ultimate Responsible Party for a Church, any violations and penalties incurred would first be levied against the Pastor. Some of these violations may be the result of the Church simply honoring their Pastor in simple ways. For instance, most Churches love their Pastor. Unfortunately, I have reviewed cases where in their attempts to love and honor the Pastor, the Church action resulted in heavy financial penalties and in some cases, prison sentences for their man or woman of God. Most Churches have space specifically set aside for the Pastor. This would include things such as his or her office, a special chair on the platform or on the floor of the Sanctuary. Some Churches purchase towels for him or her to use during the service, and special bath towels to be used in the Pastor’s private bathroom. One issue, that almost every Church practices is a special reserved parking space for the Pastor, Pastor’s spouse, Guest Speakers, and in some cases, Church Staff. I agree with all of these special items of recognition for the man or woman of God. However, the IRS does not. 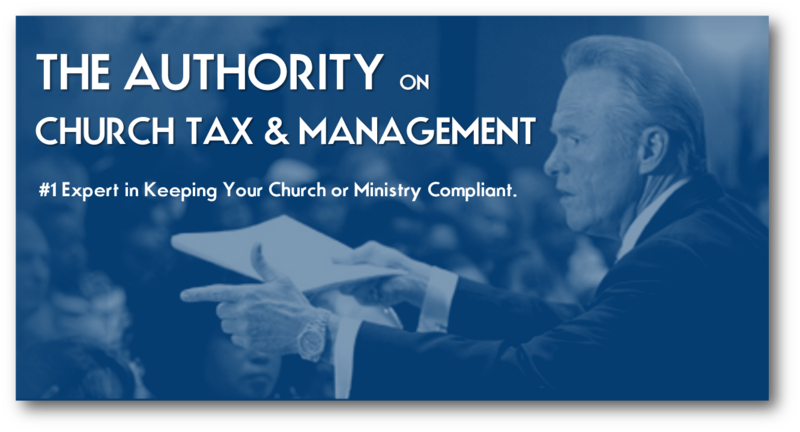 The IRS has unloaded a myriad of changes affecting Churches, Ministries, Pastors, and Ministers. Most of them are unfavorable. One of those changes involves reserved Parking Spaces. Effective this year, individuals who are beneficiaries of reserved parking spaces and/or the Church will be required to pay income tax on those spaces. This will also mean that the Church will need to develop a comparable plan to determine a legitimate cost for the space and add it to the Pastor or Staff Member’s W-2 or to report it as Unrelated Business Income. Failure to properly report this could be construed as income tax evasion, fraud, or a few other charges which the IRS may choose to invoke. THIS IS JUST ONE OF THE CHANGES FOR THIS YEAR—THERE ARE MANY MORE!!! Churches, Pastors, Ministers, and Board Members should not conduct any ministry in this upcoming year without first becoming aware of all the changes and what they should do about them. Chitwood & Chitwood is the Premier Church Management Firm in the nation and will be conducting the Number 1 Church Management Conference in your area. DO NOT ALLOW THIS WINDOW TO PASS YOU BY. To Protect yourself and your Church every Pastor, Pastor’s Spouse, and Board Member should register for the Conference in their area. Failure to do so, may cost you more than you want to pay. Let us inform you of some of these changes and how to protect your Church and Ministry. To Register for the Upcoming Conference Please Call 800-344-0076 or visit us online at www.cmtc.org. The Conferences this year are not ones you can afford to miss.